THE AVERAGE-SIZED MERMAID Made a Big SPLASH in FringeNYC 2011! THE AVERAGE-SIZED MERMAID was one of only several shows highlighted in both NEWSDAY AND THE VILLAGE VOICE! AND LOOK AT WHAT THE CRITICS AND COLUMNISTS SAID! 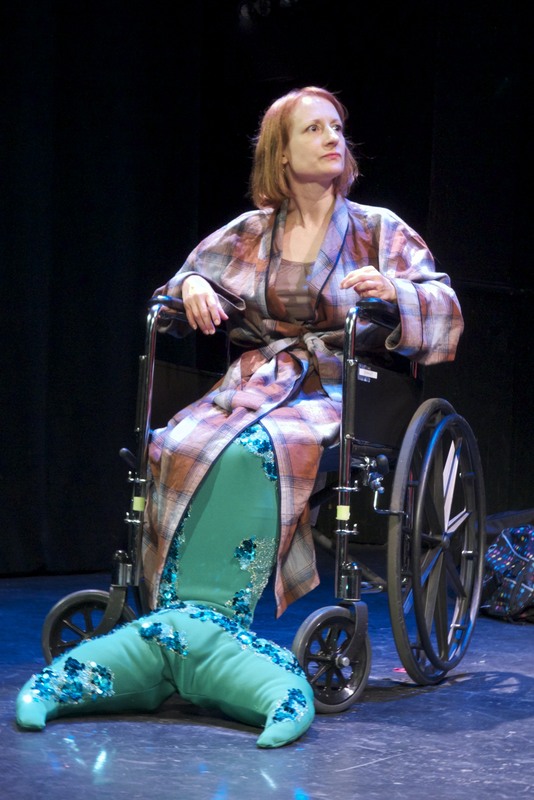 early bird theatricals was THRILLED to be a producer along with Mind The Gap Theatre on the smart and quirky comedy, THE AVERAGE-SIZED MERMAID by Jessica Fleitman as part of the The New York International Fringe Festival in August 2011! The creative team included Costume Designer Ghislaine Sabiti, Lighting Desinger Joyce Liao, Production Stage Manager Katy Moore, Movement Coach, Melissa Riker, Director of Business Development, Dana Fleitman, Graphic Desinger, Chris Espiritu, and Press Representative, Sam Morris.